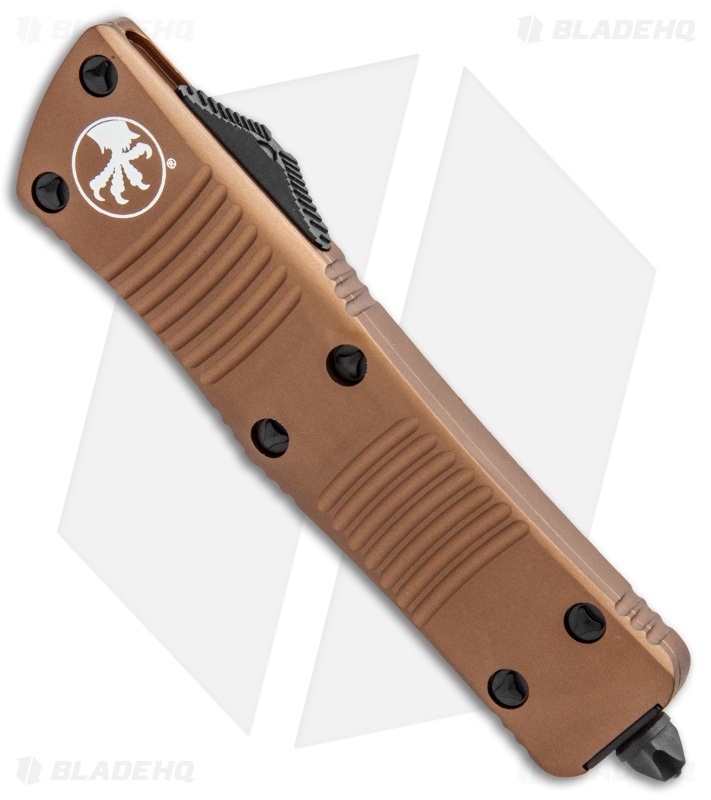 The Troodon is a compact automatic knife with Microtech's signature double action out-the-front performance. It was named after the Troodon dinosaur, a small, smart and quick hunter. 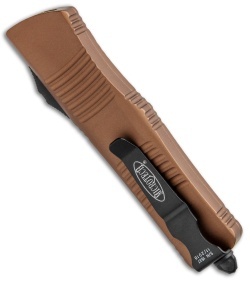 The handle is shaped with tapered ends and grooves for added grip. 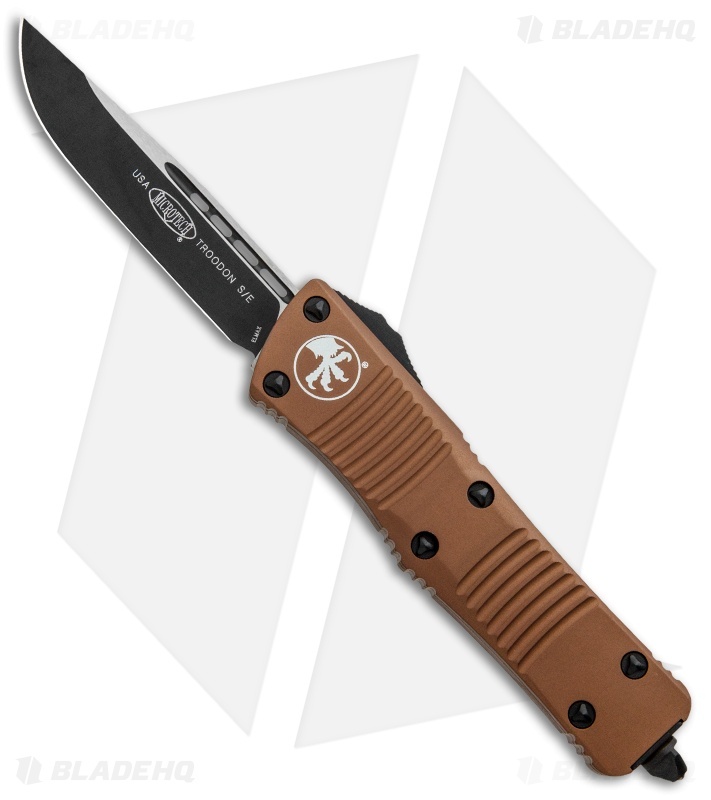 If you're looking for a bigger knife that features the same great style, the Microtech Combat Troodon (25% larger) is an excellent choice. This Troodon has a two-tone black coated stainless steel drop point style blade with a plain edge. 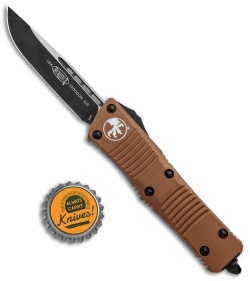 The handle is tan anodized aluminum with bead blast finished hardware, pocket clip and glass breaker tip.